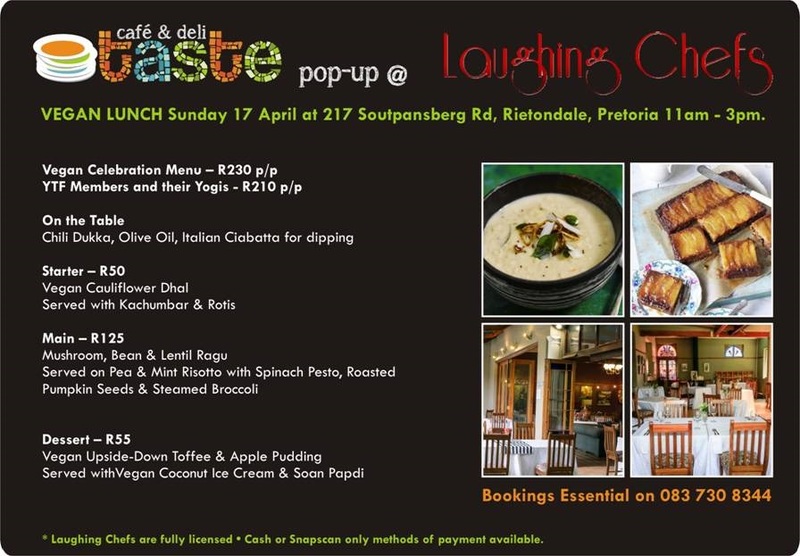 Taste Café is popping-up this coming Sunday at Laughing Chefs with a delectable Vegan Celebration Lunch Menu. The peace and tranquility of Laughing Chefs serves as the ideal venue in which to enjoy a relaxed and leisurely meal. The restaurant is licensed and has an extensive wine list. PLEASE NOTE: YTF Members and there Yogis are being afforded the opportunity to enjoy this meal at the discounted rate of R210.00 per person. Bookings are essential and can be made with Willie on 083 730 8344.